The Alocacia polly, also known as the African mask plant, is native to subtropical Asia and Australia. This plant appreciates a bright and humid environment in the home or office. Its dark green leaves are shaped like an arrowhead with highly defined silvery green veins. Though it likes bright light, the leaves can be sensitive to sunburn so its best to keep it slightly away from the window or behind a light curtain. Frequent waterings, plenty of light, and added humidity will keep your alocasia looking its best. Alocacia are toxic to pets. Prefers bright indirect light, and will not tolerate low light conditions. 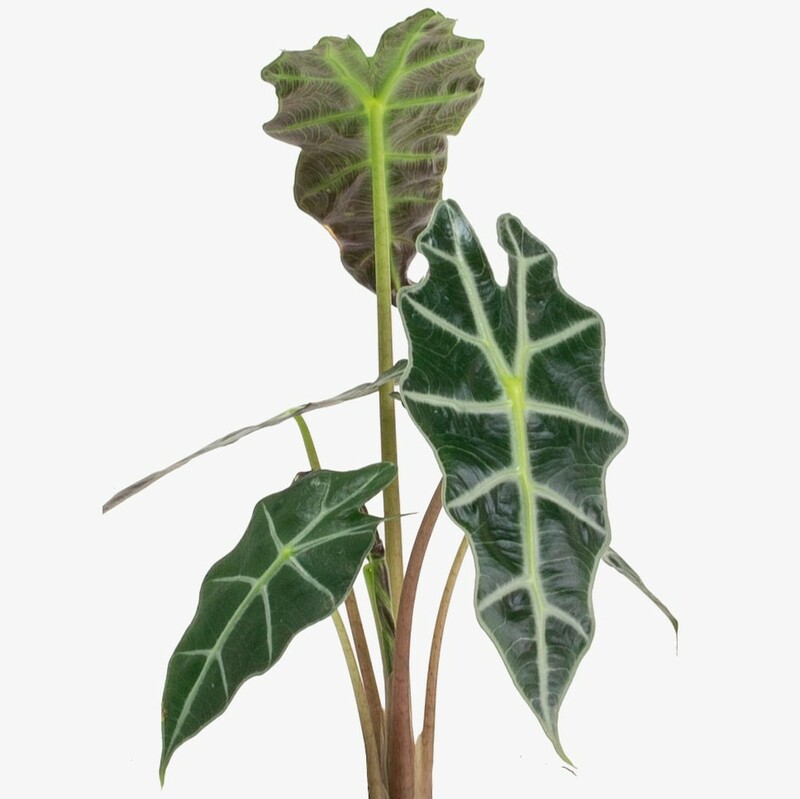 Alocasia leaves can burn with extended periods of direct sunlight. Be sure to water your plant upon delivery. Alocasia prefer the soil to dry out about 2"-3" down from the surface of the pot between waterings. Do not let the soil dry completely, but also be cautious not to over water. Moderation is key. Alocasia love humidity! However they are tolerant of dry spaces.